Journalists in Burma believe their government is failing to defend media freedom despite the transition from harsh military rule to the elected government of Aung San Suu Kyi, according to a survey published to mark World Press Freedom Day on Thursday. Activist group Free Expression Myanmar and its partner organisations interviewed 200 journalists between January and April, finding almost half believed they had less freedom as journalists than a year earlier. “Journalists are frustrated by the government’s failure to implement its election manifesto commitments to increase media freedom,” the group said in a report on its survey. 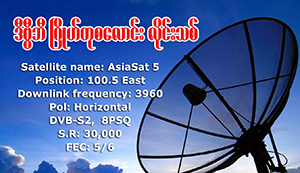 The government’s main spokesman, Zaw Htay, referred Reuters’ questions about the survey results to the Information Ministry. Reuters contacted three officials at the Ministry of Information, who all declined to comment and referred questions to other officials. The military ruled Burma for nearly 50 years but handed over the reins of government to Nobel laureate Suu Kyi in early 2016. The military retains control of government ministries responsible for security, including interior and defence. Police arrested two Reuters reporters on Dec. 12 and they face up to 14 years in prison under accusations they breached the colonial-era Official Secrets Act. The survey comes after Paris-based Reporters Without Borders last week moved Burma down in its annual press freedom index by six places to 137th out of 180 nations, citing legal action against journalists and restrictions on access to conflict-affected areas. “Journalists increasingly believe that the government, including the military, is the greatest threat to media freedom in Myanmar, both through its continued use of old oppressive laws which it has no real plans to amend and its adoption of new oppressive laws,” the group said in its report. Several journalists have faced legal action in connection with their work over the past year or more, but according to Advocacy group Athan, or “voice,” the two Reuters journalists — Wa Lone, 32, and Kyaw Soe Oo, 28 — are the only reporters in detention. Several US lawmakers expressed solidarity with Wa Lone and Kyaw Soe Oo, and other imprisoned journalists, to mark World Press Freedom Day. Nine US senators signed a letter to the two men promising to continue to urge the country’s authorities to release them and drop all charges. A court is holding hearings to decide whether the two Reuters journalists will face trial for allegedly handling secret government documents. At the time of their arrest, the reporters had been working on an investigation into the killing of 10 Rohingya Muslim men and boys in a village in western Burma’s Rakhine State. The killings took place during an army crackdown that United Nations agencies say sent nearly 700,000 people fleeing to Bangladesh. “Press Freedom Day is very meaningful for us,” Wa Lone told reporters on the steps of a Yangon court on Wednesday, following the most recent hearing. ” transition from harsh military rule to the elected government of Aung San Suu Kyi ” ? Elected government in name only. The murderers in uniforms are still controlling the country. All sanctions should be re-imposed. Sweet internet site, super layout, rattling clean and utilize friendly. Incredibly individual pleasant site. Immense info readily available on few gos to. You’ve amazing information in this case. Hi my loved one! I wish to say that this article is amazing, nice written and come with almost all vital infos. I?¦d like to look more posts like this . Extremely revealing looking forwards to returning. Spot on with this write-up, I truly suppose this web site wants much more consideration. I’ll in all probability be again to learn far more, thanks for that info. Nice post. I used to be checking constantly this blog and I am inspired! Very useful information specifically the final section 🙂 I care for such information a lot. I used to be looking for this particular info for a very lengthy time. Thanks and good luck. Hi-ya, awesome online site you’ve gotten going here. Good day very cool website!! Man .. Excellent .. Amazing .. I’ll bookmark your site and take the feeds also…I’m happy to find a lot of useful information right here within the put up, we’d like develop extra strategies in this regard, thank you for sharing. . . . . .
You made some first rate factors there. I regarded on the internet for the problem and located most individuals will go along with together with your website. Amazing, this is a valuable webpage. Thanks with regard to providing these types of well put together subject material. Thanks for another informative web site. Where else could I am getting that kind of information written in such an ideal approach? I have a venture that I am just now working on, and I have been at the glance out for such information. Enjoyed reading through this, very good stuff, thankyou. “Hereafter, in a better world than this, I shall desire more love and knowledge of you.” by William Shakespeare. Good one! Interesting information over this website. It is pretty worth enough for me. In my opinion, if all web owners and bloggers made good content as you did, the internet will be a lot more useful than ever before. I couldn’t resist commenting. I’ve spent some time trying to find such infos. I’ll also share it with some friends interested in it. I’ve just bookmarked this website. Done with the work done, I will visit some live hot gay cams. Thank you!! Greetings from San Francisco! I’m really inspired together with your writing talents and also with the structure for your blog. Is this a paid topic or did you modify it yourself? Either way keep up the excellent high quality writing, it’s rare to look a nice blog like this one nowadays..
sbpxcoqx,Definitely believe that which you said. Your favourite justification appeared to be on the net the simplest thing to remember of. hiwkmrb,Some really nice stuff on this website, I enjoy it. yffszuqnau,A fascinating discussion is definitely worth comment. I do think that you ought to publish more on this topic, it may not be a taboo lzmyud,subject but generally folks don’t talk about such subjects. To the next! All the best!! website by accident, and I am shocked why this twist of fate did not took place in advance! waczdch,Some really nice stuff on this website, I enjoy it. hi!,I love your writing so much! proportion we communicate more about your article on AOL? Your site offered us with valuable info to work on. You’ve done an impressive job and our whole community will be grateful to you. vojdxd,Thanks a lot for providing us with this recipe of Cranberry Brisket. I’ve been wanting to make this for a long time but I couldn’t find the right recipe. Thanks to your help here, I can now make this dish easily. Hi, its pleasant paragraph about media print, we all know media is a enormous source of information. overlook this web site and give it a look on a constant basis. this website on regular basis to get updated from newest information. highest quality blogs on the net. I’m going to recommend this blog! zrfeelefyb Yeezy Boost,Very helpful and best artical information Thanks For sharing. You really make it appear so easy along with your presentation but I find this topic to be actually something which I feel I might by no means understand.